Fall is officially here, which means it's time to grab your favorite fall sweater, drink that pumpkin spice latte, and head out to enjoy the great outdoors before it gets too cold to function. And by great outdoors, we mean your local pumpkin patch. Even if you live in major cities like New York or Los Angeles, you don't have to travel too far to pick some gourds, ride a wagon full of hay, or get lost in a corn maze. Plus, just think of the content you will be creating for your Instagram followers. It's a win-win for everyone. 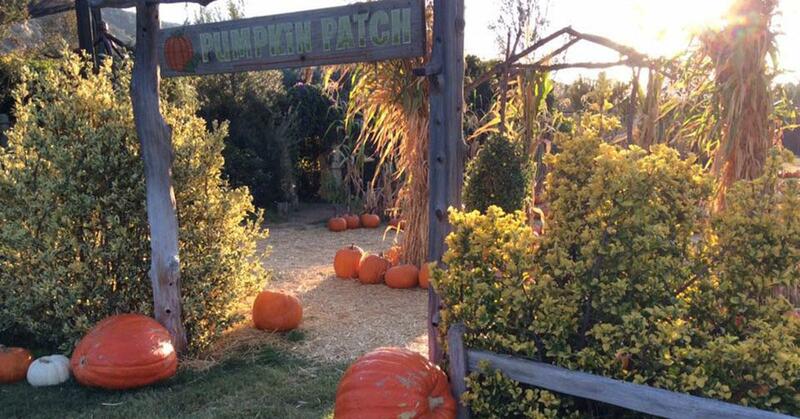 Check out the list below for the best pumpkin patch near your zip code. Alstede Farms in Chester, New Jersey. You'll have to leave Manhattan to find an Instagram-worthy pumpkin patch, but trust us, the drive is worth it. There is the Elwood Pumpkin Farm in Long Island, where you can pick the bright orange gourds, enjoy a hayride, and explore a corn maze. 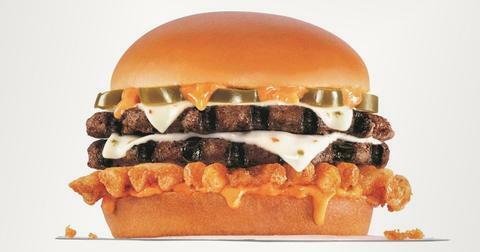 Plus, there is no admission fee — just pay for what you pick. If you prefer traveling to New Jersey, Alstede Farms is also a good choice. 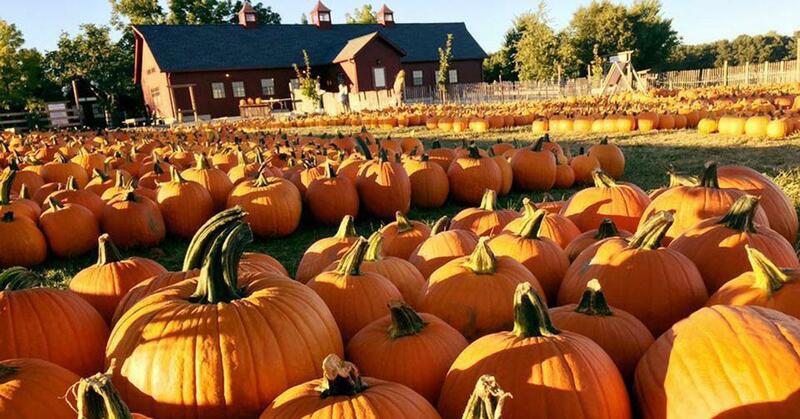 Accessible by New Jersey Transit (for non-drivers), there are plenty activities to enjoy including apple and pumpkin picking, a 10-acre corn maze, and farm animals. Oh, and don't forget to check out the cider mill or winery if you have time. If you want to mix your pumpkin patch visit with some celebrity sightseeing, check out Mr. Bones Pumpkin Patch. Even if you're not into A-list stars, you won't be able to resist the bounce house, live entertainment, and food trucks. 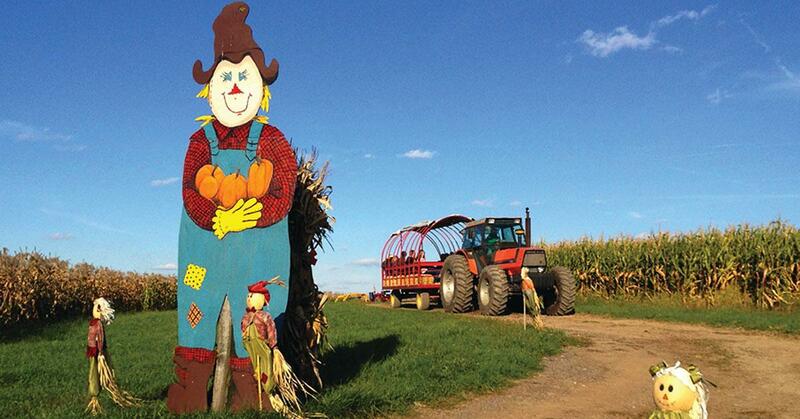 Another great choice: Tapia Brothers Farm, with a corn maze to end all corn mazes. Seriously, take the map with you. 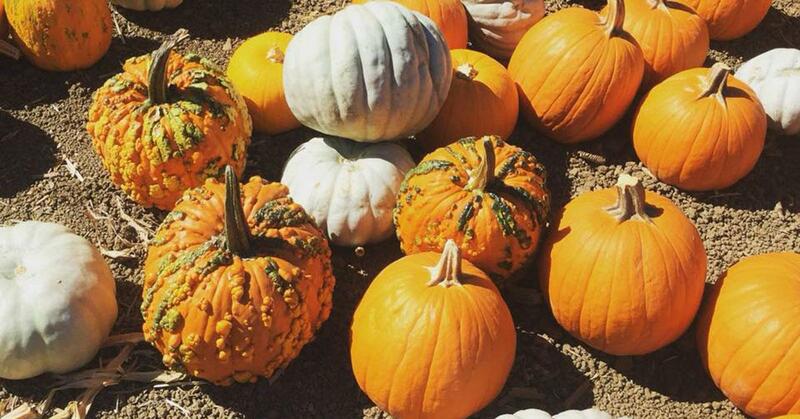 Sonny Acres Farm is definitely an Instagram-approved pumpkin patch. You can ride a camel, check out the haunted barn (if you are brave enough), and even find the perfect Halloween costume in their novelty shop. Have you ever seen a mechanical pumpkin-eating dinosaur? You will if you visit Goebbert’s Pumpkin Patch, which also features a corn stalk maze, petting zoo, and the Pumpkin Express. 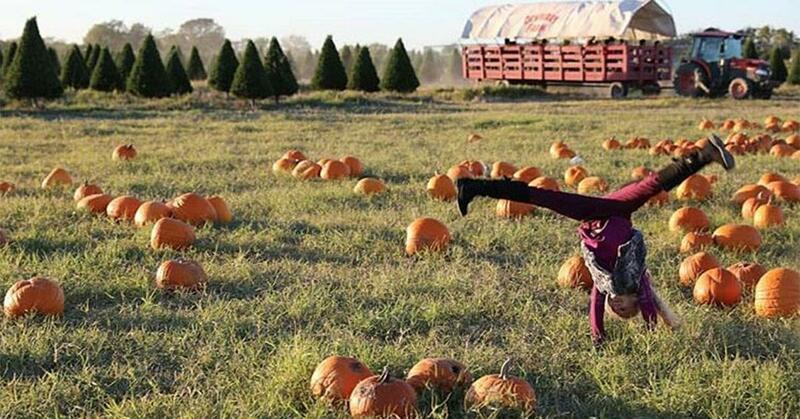 Open from Sept. 29 to Nov. 11, Dewberry Farm is a popular pumpkin patch near the Texas city — and with its over 500 lighted pumpkins and zip lines, it won't disappoint. 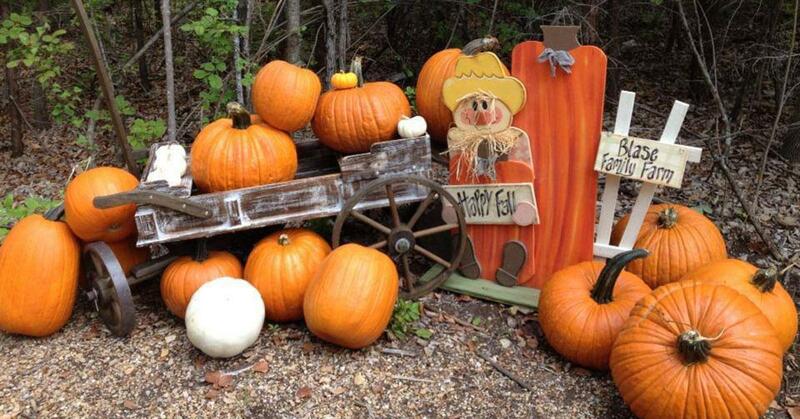 Another favorite in Houston is the fall festival at the Oil Ranch, which has hosted a Scarecrow Festival for more than 20 years and every child gets a free pumpkin with paid admission. 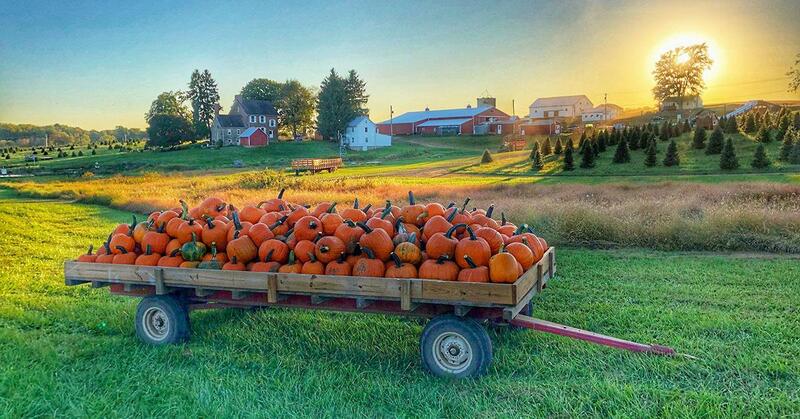 Trax Farms in Finleyville, PA.
You'll want your visit to Trax Farms, 12 miles outside the city, to fall on a weekend for its seasonal Fall Harvest Festival, when you can pick pumpkins, enjoy a scenic hayride, or make your way through the cornfield maze. Pittsburgh residents can also check out Janoski's Farm & Greenhouse — or Janoski's Pumpkinland, as it's known in October. Adults and kids can pick and paint pumpkin, have fun in the straw jump, and of course, get lost in the corn maze. Summers Past Farm in San Diego. 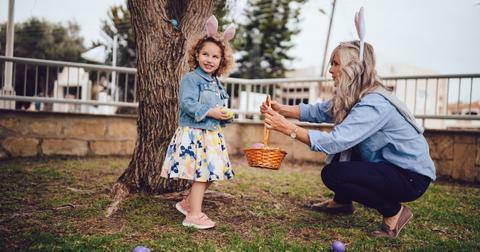 If you're an Instagram influencer in San Diego, your first stop should be Summers Past Farm — and there's even a bounce house for kids. 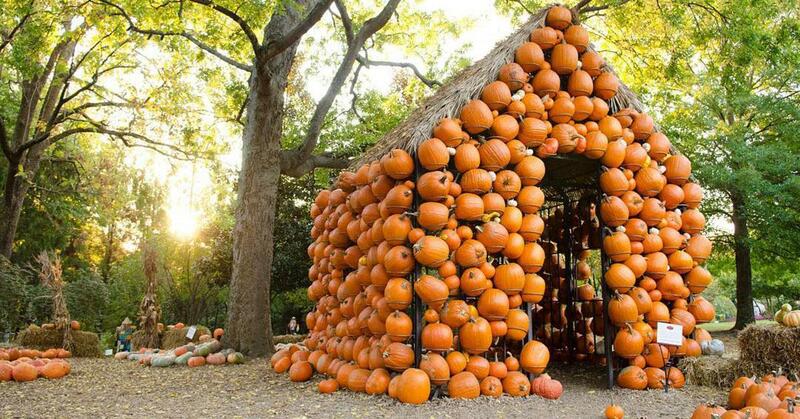 Looking for a more traditional pumpkin patch? 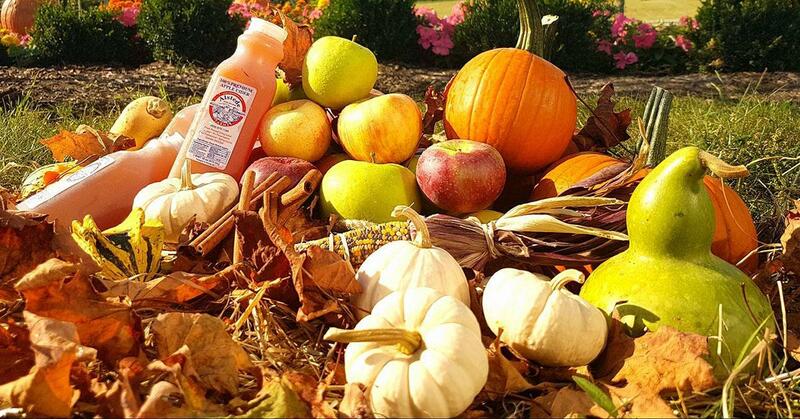 Bates Nut Farm has everything you will need, from tractor hay rides to a petting zoo. Plus, every weekend they host a different event, like a doggie dress-up day or scarecrow contest. Blase Family Farm in Rockwall, TX. We were sold with the free hot dog that is offered at the Blase Family Farm Pumpkin Patch — or the free mini-pumpkin available Monday through Friday. They also have hay rides, petting zoo, and a mini hay maze for the kiddos. And even though it's still a few months before Christmas, Elves Farm, which is open every weekend in October, has it share of pumpkin fun, including a pumpkin slingshot. 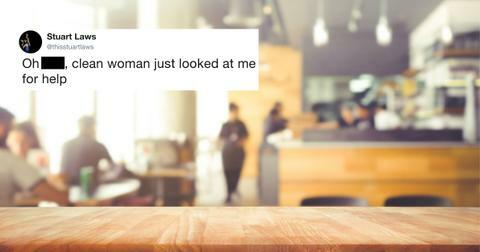 We're sold. Smith Family Farm's pumpkin patch. A go-to pumpkin patch since 1979, Clancy's is a San Francisco favorite — it must be the free parking. There's also the Smith Family Farm’s pumpkin patch, where you can sample their homemade pumpkin ice cream and pick pumpkins right off the vine. The Farm at Swan's Trail in Snohomish. 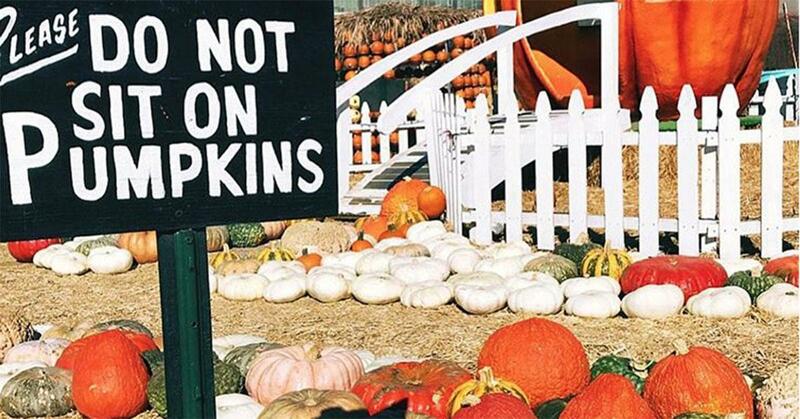 Two words: Flying Pumpkins. 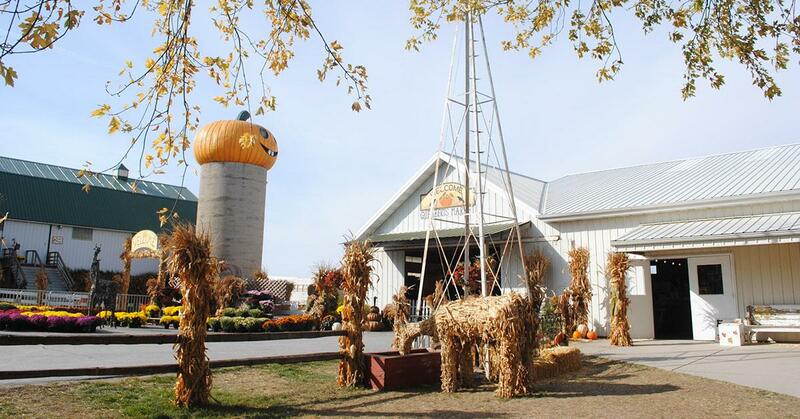 At Remlinger Farms there is that fun attraction, plus pumpkin fields to spend the day picking. Pro tip: don't miss out on their famous pies. 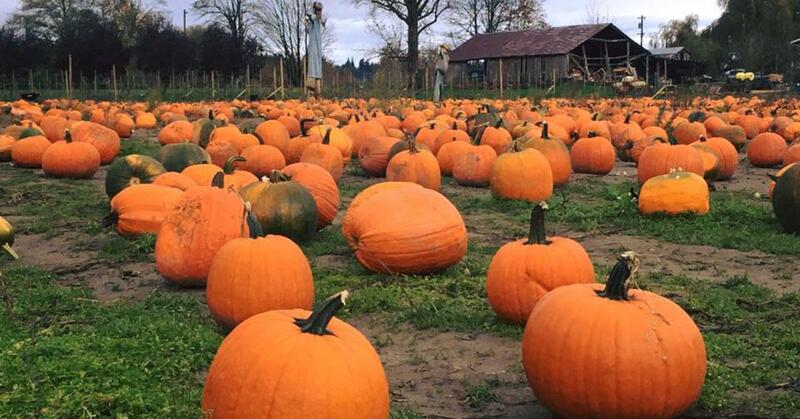 Another option for Seattle locals is Carpinito Brothers Corn Maze and Pumpkin Patch, which, along with 20 acres of pumpkins and two themed mazes, also features a Farm Fun Yard. Oh, and The Farm at Swan's Trail is also hard to beat, with 50 acres of pumpkins, a 12-acre corn maze, and live duck races? 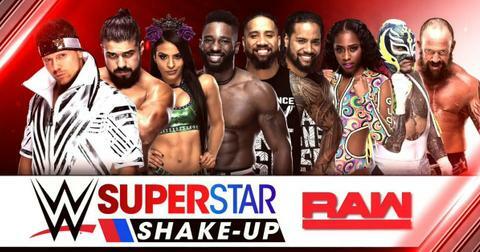 Get your camera ready. Gaver Farms in Mount Airy, Md. The nation's capital might not have too many pumpkin patches, but that doesn't mean you can't enjoy the fall festivities next door. Clark’s Elioak Farm has a pumpkin patch plus an enchanted forest. Yes, an enchanted forest with activities such as gem mining and geode cracking. Sign us up. 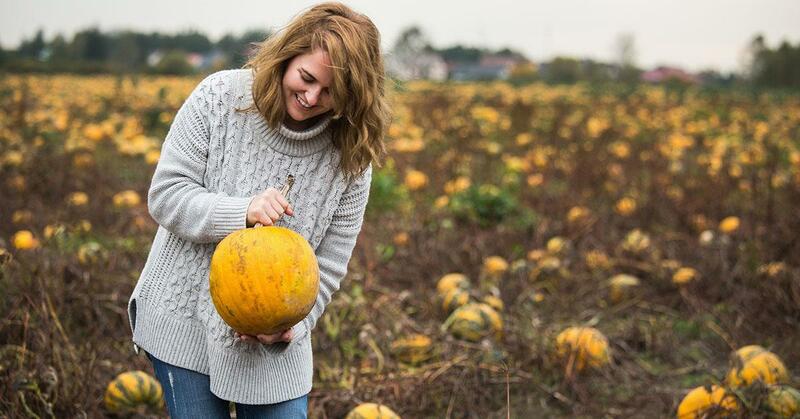 Nearby in Maryland, D.C. residents can also enjoy the pumpkin patch at Gaver Farms, which also hosts Fall Fun Nights with a moonlight corn maze and campfire s'mores. Cheekwood Estate & Gardens in Nashville. Grab your cowboy boots and head to the Cheekwood Harvest at Cheekwood Estate & Gardens that has a real life pumpkin house, more than 5,000 chrysanthemums in bloom, and a beer garden. Looking for a free pumpkin patch? There's Walden Farm, which has everything you need including a sand art station. Tougas Family Farm in Northborough. Get out of the city and check out Smolak Farms for its harvest festival — just 45 minutes outside of Boston. Or go to the Tougas Family Farm with its kid-friendly activities such as apple picking and pygmy goats. The Rock Ranch in The Rock, GA.
Don't like pumpkins? 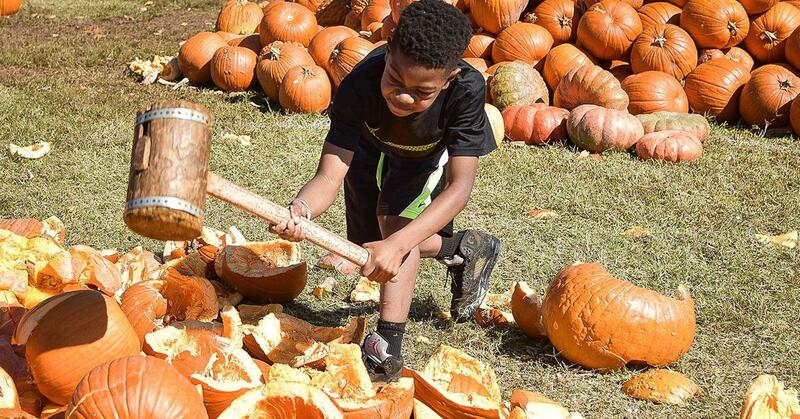 Well, head out to The Rock Ranch on Nov. 6 for its annual Pumpkin Destruction Day, where you can drop your pumpkin from a 50-foot forklift. Pumpkin lovers should head to the Still Family Farm, where you can enjoy a popcorn maze, hayrides, and your traditional pumpkin patch.